Talk about the power and mystique of Augusta National. On Friday night, Jennifer Kupcho went to bed unknown outside the most tight-knit of golf circles. On Sunday morning, she woke up as America’s latest sporting darling after a performance around the nation’s most famous course that quite simply took the breath away. Kupcho is just 21 and goes to university at Wake Forest, Arnold Palmer’s old alma mater. 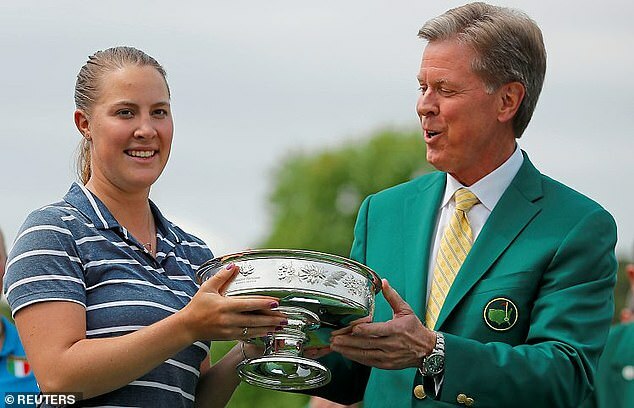 The great man would have loved the way she attacked the back nine on Saturday to go from two strokes behind to four clear to win the inaugural Augusta National Women’s Amateur. As any number of people pointed out, what man wouldn’t give his eye teeth next Sunday to play the last six holes in five under par? What made it still more impressive were the clubs Kupcho was using. While the men generally need a mid-iron or less for their second shots to the par fives at 13th and 15th, she was using a fairway metal. On the 13th she fearlessly struck one over Rae’s Creek to 6ft and then at the 15th to 20ft. Out in the last group on an epochal day for the sport — the first time women have played Augusta in competition — this was history scripted with a gilded hand. 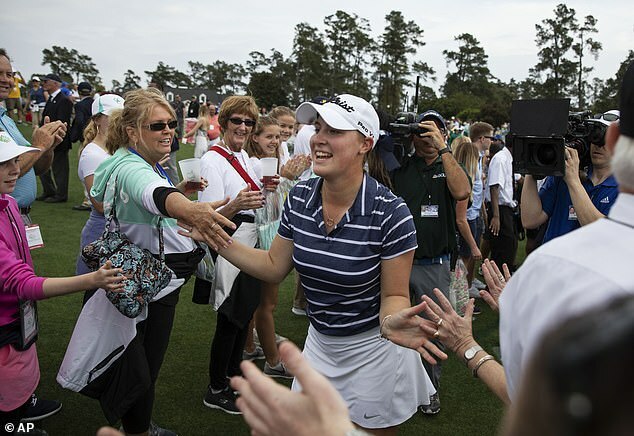 After two rounds at a nearby course featuring 72 of the world’s best amateurs, 30 made it through to Augusta. Come the back nine, Kupcho had just one rival for the title — Maria Fassi from Mexico. The pair will both turn pro in June. Masters chairman Fred Ridley looked proud as punch, and he deserved his moment in the sun. This is his first year in the job and this new eye-opening event was his idea. What a way to make a first impression for the father of three daughters. The dark days when Augusta stood for much that was wrong about golf suddenly belonged to a different lifetime.